Density is a measure of how densely packed the atoms and molecules are in a sample liquid or solid. The standard definition is the ratio of the sample's mass to its volume. With a known density, you can calculate a material's mass from knowing its volume, or vice versa. Specific gravity compares every liquid or solid's density to the density of water. It is the ratio of the sample's density to water's density, and therefore it is unit-less and independent of the measurement system. Write out the density of the solid or liquid in question, being sure to note the units. For example, 5 grams per milliliter. Divide the density from the previous step by the density of water in the same units. 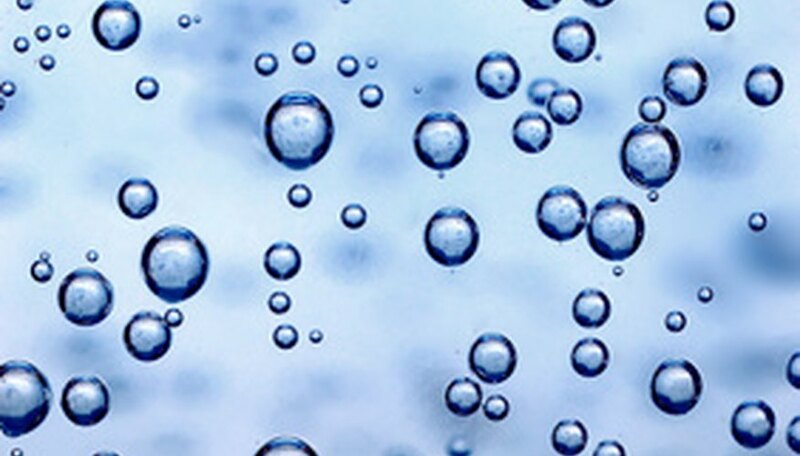 The density of water in various units is approximately the following: 1 gram per milliliter, 1,000 kilograms per liter, 62.4 pounds per cubic foot and 8.3 pounds per gallon. For example, divide 5 grams per milliliter by 1 gram per milliliter. Recognize that the previous step's result is the material's specific gravity. The example material's specific gravity is therefore 5. Friedman, Joe. "How to Calculate Specific Gravity From Density." Sciencing, https://sciencing.com/calculate-specific-gravity-density-7768709.html. 24 April 2017.